The I-880 freeway in Oakland, Calif.
California has the worst track record in improving its highways, while spending twice the national average per mile. That’s according to a new study by the Reason Foundation. The libertarian think tank studied improvements to the nation’s highway infrastructure over a 20-year span, contrasted with money spent per mile. They looked into seven categories that represent the state of the highway system: fatalities, deficient bridges, percent of urban and rural interstate highways in poor pavement condition, percent of urban highways that are congested, percent of rural primary roads in poor pavement condition, and the number of rural primary roads flagged as too narrow. The study noted how much each state improved –or worsened– in each category between 1989 and 2008. It turns out that overall, most of the country has made big improvements in highway conditions over the last 20 years. While the study shows the country is improving, California noticeably lags behind. California was the only state that improved in just two categories: fatalities and deficient bridges. In contrast, 37 states improved in five out of the seven categories and 11 improved in all seven. California fared particularly badly in urban congestion and urban interstate road conditions. The state has two of the most congested metro areas in the country – the San Francisco Bay Area and Los Angeles. And the condition of California’s urban Interstate roads, like the Bay Area’s hated I-880, have declined by more than 20 percent since 1989 (only Hawaii is worse). Over the 20 years covered by the study, the state spent $5.84 million per mile of highway – more than twice the national average of $2.85 million per mile. But there is a silver lining: California has reduced its fatality rate by 1.1 fatalities per 100 million miles of highway. That’s the 13th best improvement in the country. To learn more, check out the full study here. Isabel Angell is KALW's transportation reporter. 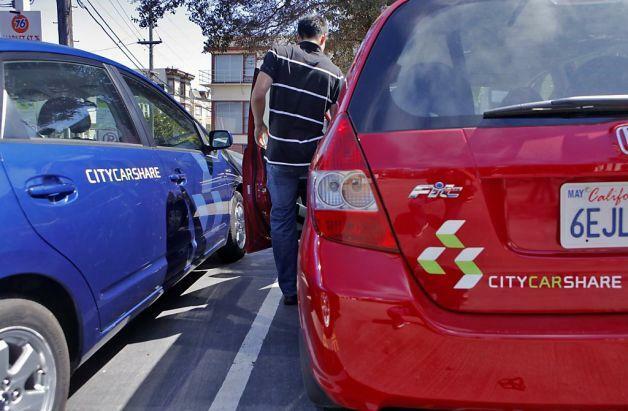 Parking a car-share vehicle in San Francisco is about to get easier. At least, the San Francisco Board of Supervisors hopes so. Last week, the Board passed an ordinance to allow residential developers to add more parking spots to their new apartment buildings – if those spots are dedicated for car-share programs. The ordinance, which was proposed by Supervisor Scott Wiener, passed through the Board of Supervisors unanimously. But not everyone thinks it’s a good idea– and the main opponent is a little surprising. How does your commute time compare to the rest of the nation? The average travel time to work in the United States is 25.4 minutes, according to the U.S. Census Bureau. Move around the map or enter your town or zip code to find commute times for your area. This story originally aired in November of 2011. The Bay Area’s first real freeway was the 880. Completed in 1957, it connects the Port of Oakland with San Jose. Today it’s a major trucking route, and the most direct way to get to the Oakland Airport, or to a Raiders game.